Arboricultural Association - What next for Forestry and Arboriculture Apprenticeships? Home /News & Blog / Latest News / What next for Forestry and Arboriculture Apprenticeships? Ros Burnley, Director of Adrow Ltd, provides an insight into how employers need to be proactive in developing professional apprenticeships. “Over 70% of the businesses stated that they would consider taking on a higher level apprentice”. Apprenticeship reform in England has been happening since 2014 and tree-related industries have been leading the way with the development of the new Forest Operative and Arborist apprenticeship standards, both approved for delivery in 2017. There are exciting opportunities in the new apprenticeship system for forestry and arboriculture businesses, including funding for training, employer-designed programmes and, for the first time, the flexibility to develop apprenticeships at higher and degree levels. Forestry and arboriculture are poised to decide on the next steps for apprenticeships, and employers are needed to determine if our industries require professional apprenticeships. Employers are needed to determine if they need professional apprenticeships. The government apprenticeship reforms challenged employers to come together in groups called “trailblazers” to develop new apprenticeship standards. This gives employers control over content and how the apprentice is tested. In stage one, trailblazers must be led by an employer and have evidence that their proposed programme is desired before receiving government approval to start development of an apprenticeship. Once approval is obtained, stage two is to write the standard that defines the occupation’s duties, skills, knowledge and behaviours. This is an in-depth task and the Institute for Apprenticeships (IFA)1 helps guide employers through the process. The final step is to write an assessment plan that sets out the assessment or testing methods the apprentice must undertake at the end of their programme. Although not an easy or necessarily quick process, the end result is an employer-designed, IFA-approved apprenticeship that will attract government funding. The new apprenticeships are designed to be a core, transferrable occupation, which will be useful to employers of differing subsectors, sizes, types and locations. Trained apprentices will have a consistent skill set that employers can use across their industry. Another significant change is that apprentices are tested at the end of their apprenticeships to demonstrate they can combine their skills and knowledge through structured and experiential learning. These tests are done by an assessment organisation without any connection to the employer or the training provider. For most employers (with a pay bill lower than £3 million), eligible training and assessment for apprentices is 90% government funded. If your organisation has a pay bill greater than £3 million, you will already be paying the apprenticeship levy. This money can be used to cover 100% of eligible training and assessment costs. Public sector examples include the Forestry Commission and many local authorities, but every business has the potential to access funding to cover 90% or 100% of the training and assessment cost of an apprentice. There is a pressing need to determine how to maximise this opportunity to facilitate training and employment for professional roles in forestry and arboricultural businesses. Each apprenticeship has a “band” allocated that sets the maximum funding provision per learner that can be claimed. It is up to the employer to negotiate the cost with their training provider within this band. There are incentive payments for certain circumstances and extra charges for some items that a training provider can advise on. The employer must find the apprentice’s wage and allow 20% of their time “off the job”, for example within a structured learning environment (e.g. college, university) or a period of personal study. Why now? Why trees, forests and woodlands? What are the potential benefits? Apprenticeships can now be developed at higher or degree levels, whereas previously they were focused on operative or supervisor occupations. These programmes are funded in the same way, although they often attract higher funding bands due to the difficulty and length of the study period. Degree or masters-level apprenticeships, such as Chartered Manager, Project Manager, Solicitor, Accountancy/Taxation Professional and Senior Insurance Professional, are already available. Regulated professions that previously focused on degree or classroom-based training are embracing apprenticeships to develop and diversify their workforce. This is partially driven by the apprenticeship levy, with companies looking for ways to utilise funds that they are actively contributing to. But this isn’t the only reason higher or degree-level apprenticeship standards are being developed. Other benefits are that apprentices develop extensive work experience alongside their academic studies, they are trained to the company’s working practices, they contribute to motivating and developing other staff and there is an increased diversity of recruits. This is demonstrable because apprenticeships are more accessible for those who have financial responsibilities, aren’t able to afford a higher or degree-level education or who are uncomfortable with debt. Land-based degree apprenticeships are already in development, including Ecologist, Environmental Manager and Professional Advisor – Agriculture/Horticulture. A survey run by the arboriculture, forestry, horticulture and landscape trailblazer group at the start of 2018 had 35 responses from businesses who operate in the forestry sector and 55 from businesses working in arboriculture. Over 70% of the businesses stated that they would consider taking on a higher level apprentice. Job roles such as Tree Officer, Arboricultural Consultant, Forest Manager and Harvesting Manager were highlighted as needs. This provides enough of a remit to discuss development of professional apprenticeships for tree-related professions. Employers are now required to define what exactly is needed. Should this be something new or a more generic managerial apprenticeship? What are the duties of this occupation? What should they know, what are their skills and how should they behave in the work place? Is there demand for one apprenticeship or several? The apprenticeship reforms in England are already benefiting forestry and arboriculture businesses through the Forest Operative and Arborist apprenticeships. Other industries are taking this further by developing higher and degree-level programmes. There is evidence from the forestry and arboriculture sectors that our professions might need a professional apprenticeship pathway, but without employers taking the time to tell us what they require and contribute to the development, it will not happen. The Institute of Chartered Foresters, Confor, Arboricultural Association, Forestry Commission, Royal Forestry Society and London Tree Officers Association (with support from Duchy of Cornwall and Bartlett Tree Experts) would like to invite employers – large and small, in private and public sectors – to help determine whether there are job roles that could be assisted by developing new professional apprenticeship standards for forestry and arboriculture. In early February 2019 the Institute will be hosting two specific workshops for employers to gather the evidence that will shape the next steps in the development of professional apprenticeships. 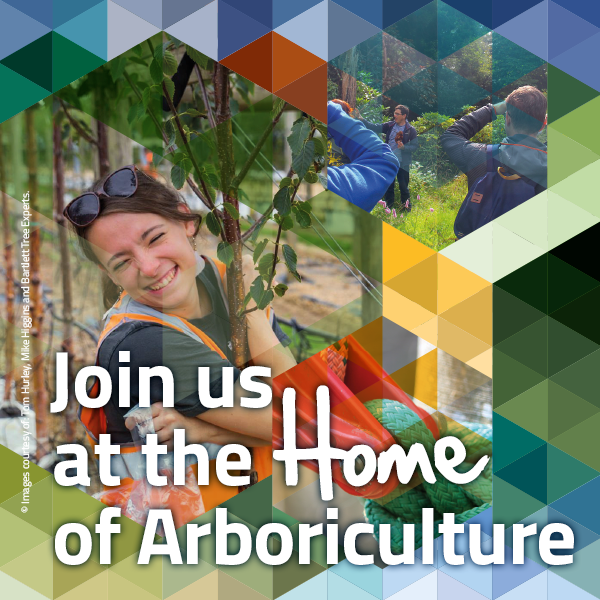 The two workshops will be free to employers in the forestry or arboriculture professions, include refreshments during the day and they will be held between 12:00 and 16:00 on both days with identical content. In the first instance, spaces are limited to one person per organisation across the two workshops. The focus of the workshops is to determine employer and industry demand and as such, education providers wishing to attend will be added to a waiting list initially and may only be able to attend if spaces have not been taken by employers. To book a space, please e-mail rob.hawkins@charteredforesters.org to request a booking form.